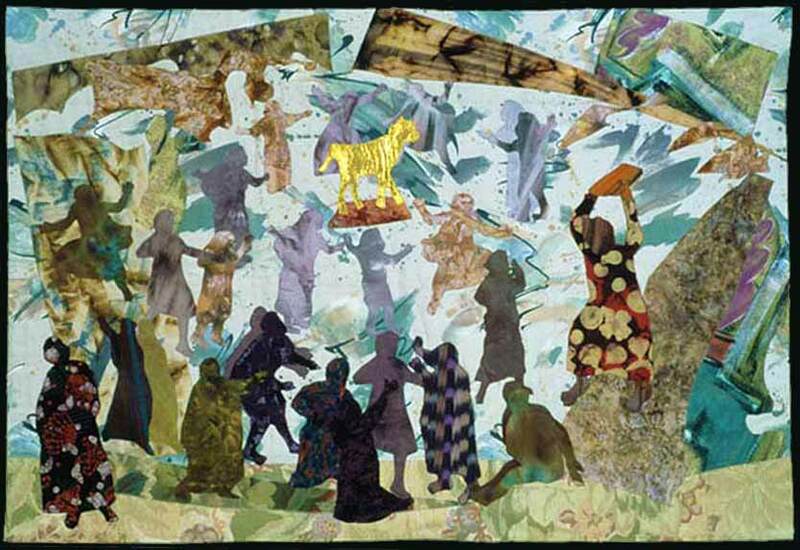 The Golden Calf, depiction in fabric by Lee Porter, ca. 1999. 461 people in our community are currently praying with you. 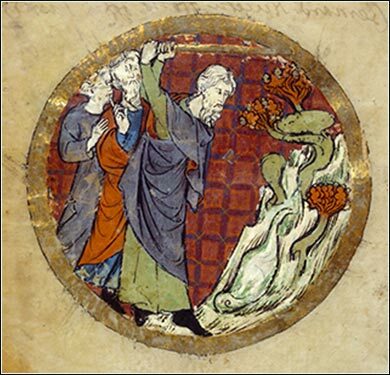 Illustration of Moses striking the rock for water, Torah, ca. 800 A.D.
And when Moses saw that the people had broken loose (for Aaron had let them break loose, to the derision of their enemies), then Moses stood in the gate of the camp and said, “Who is on the Lord's side? Come to me.” And all the sons of Levi gathered around him. 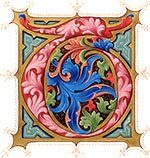 And he said to them, “Thus says the Lord God of Israel, ‘Put your sword on your side each of you, and go to and fro from gate to gate throughout the camp, and each of you kill his brother and his companion and his neighbor.’” And the sons of Levi did according to the word of Moses. And that day about three thousand men of the people fell. Aaron clearly screwed up, but he and his family (the Tribe of Levi) apparently find forgiveness because they were not instigators of the idol worship; Aaron even tried to convert the idolatry into a sacrifice to Yahweh. But they are heartily ashamed of giving into rather than stopping — and certainly in Aaron's case, even facilitating — the making and worship of the golden calf. They immediately rush to Moses when he calls for the faithful to assemble. his is a rather terrible passage, even in the context of Exodus; for it is not Yahweh who does the killing, and it is not foreigners who are killed; but rather, Hebrews must engage in a slaughter of their own kind, possibly friends and neighbors. The Levites must pay a terrible price for Aaron's weakness, as God requires them to act as the executioners. Today's passage brings home one of the great lessons we learn from Exodus: sin angers God, and the price of God's anger is blood. We really have lost this concept in modern times and, as a result, we have difficulty understanding the Old Testament. But our insulation from the stark realities of life and death as an everyday occurrence is a recent phenomenon and, largely, unrealistic. God has not changed just because we have become more refined. We need to know the cost of sin, because we cannot fully appreciate the significance of Christ without it. The price of sin has not changed; it demands blood. Rather, the cost of our sin has been paid (in blood) by our Savior, Jesus Christ. Mel Gibson did popular Christian scholarship a great service by depicting the real horror of Christ's sacrifice, in The Passion of the Christ. But many viewers took away from the movie the thought, basically, of how terribly cruel human beings can be. This is a hard truth, but there is an even greater lesson to be taken, from that movie and today's reading both: It is the blood sacrifice of our own sin that resulted in, or necessitated, such an agonizing sacrifice by the Son of God.